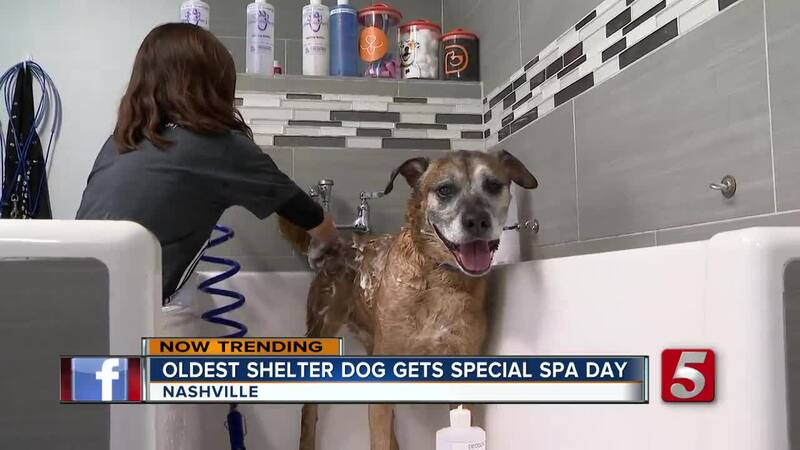 A 13-year-old shelter dog who survived Hurricane Florence was treated to a spa day in Nashville in hopes of finding a forever home. “Scooby” was brought to the Nashville Humane Association on September 21 after the South Carolina shelter he was in suffered roof damage. At 13, he’s the oldest dog there. In hopes of finding him a forever home, Scooby was treated to a complementary spa day at Dogtopia. November is also National Adopt a Senior Pet Month. For more information on how to adopt, click here .